ou are Readdle's first developer. Do you remember the time when you joined? How was it, and what was your start at Readdle like? I knew the founders before the beginning of Readdle. 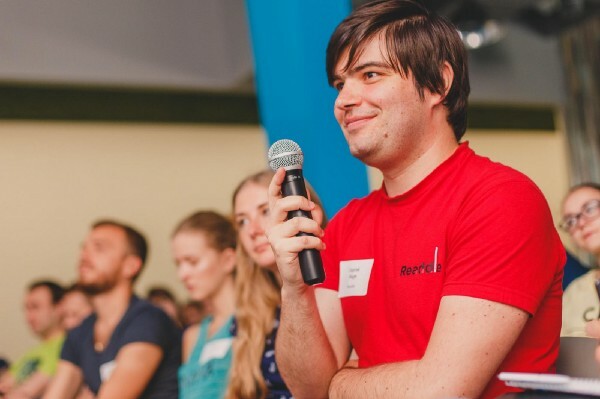 Dmitriy Protserov (co-founder) and I were working together at that time, and we were discussing a lot of ideas. 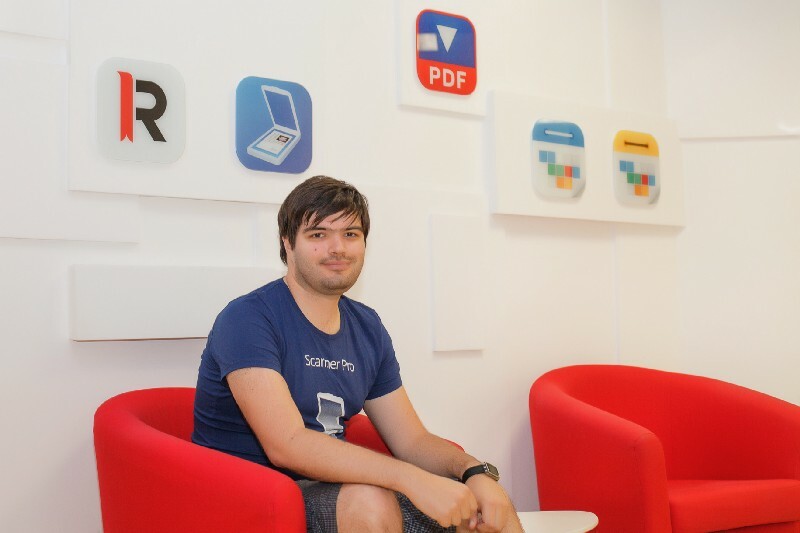 The company we worked for was getting out of business allowing Dmitriy to spend more of his time working on Readdle with his friends. I was very interested in developing on iOS. Once he came to me and said, "We are starting a company and want you to join." He told me about the product they were developing, and I agreed to get on board. On my first day, I met Andrian (CTO, co-founder). Our first office was in a small flat in an old Soviet building. My first task was to build my work table. In those early days, I worked on iDisk (part of Readdledocs product) to make it support iDisk (Apple's WebDAV service). My second task was to add a text search in Shakespeare app. Did you have any idea of how big the company would grow? As one of the first team members, you saw everything starting. Was there a feeling that you were joining a team which would grow this big? I had no idea! It was my second job, and I wasn't thinking about the scale of the company and all this. I was 20 years old in 2008, and the year before I used to go to the university and work as a developer at the same time. Everything happened very quickly. I didn't think about big ideas; nobody told me about going paperless or how we were going to redefine productivity. We had a product we wanted to launch the same day as the App Store opened it's virtual doors, and we made it. Afterwards, we simply wanted to create great things for people. 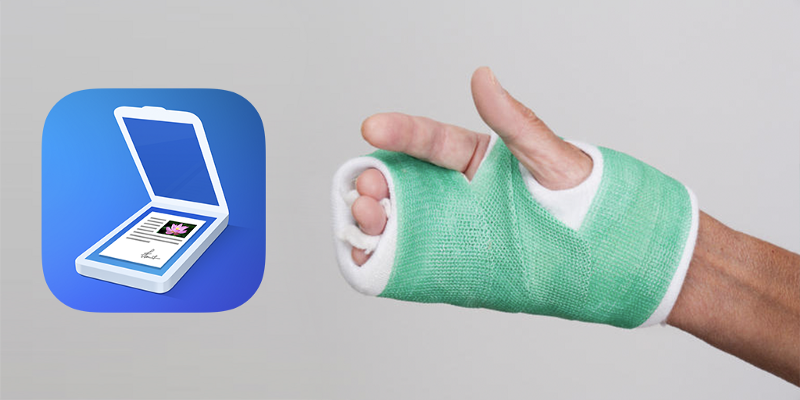 There's a story about how you wrote the code for Scanner Pro one-handed, with your right hand broken. Please tell us more about this. At that time I was doing capoeira, a Brazilian martial art. One day I tried a crazy trick and broke my hand. Then I disappeared from the "office" for a month. The guys used to come visit me for support. One day, Alex (Chief Product Officer, co-founder) came to visit. At that time I had known him for about a month because he wasn't in our ‘office' from the beginning. He showed me a few apps that did scanning on iPhones, and said: "Look how cool it is! You take a picture, and it comes out as good-looking as a PDF scan. Let's try to build something similar, but better." We decided to try. At that time, I had a small balcony with a tiny table at home and a Hackintosh (Mac OS installed on a basic PC). It was quite funny, I had to use one hand to put another one on the mouse, then put it on the keyboard to code. And again and again. I worked a few weeks like that before it went back to normal, and we had the first beta ready. What's your favorite product if you can name one? Scanner Pro, I have been working about 9 years on its development and improvement. It's the best app of it's kind because we've always kept an eye on the market and our competition and thought about what can we do better. We have succeeded every time. There are many articles in the press saying Scanner Pro is ‘the best app' in the category. On the launch, we had two competitors; it was one of the first apps of it's kind. From the beginning, it was designed for the simplest user experience we could make. At that time, scanning apps were very complicated. It was something your system administrator would set up for you and explain how to use in detail. With Scanner Pro, we understood it has to be simple and easy to use, and we still keep this in mind as we grow in this direction. On the technical side, I can't say it was the best from the start. We had many tasks we had to work on. We created many complicated algorithms because the ones already available were very hard to run on the iPhone's processor. 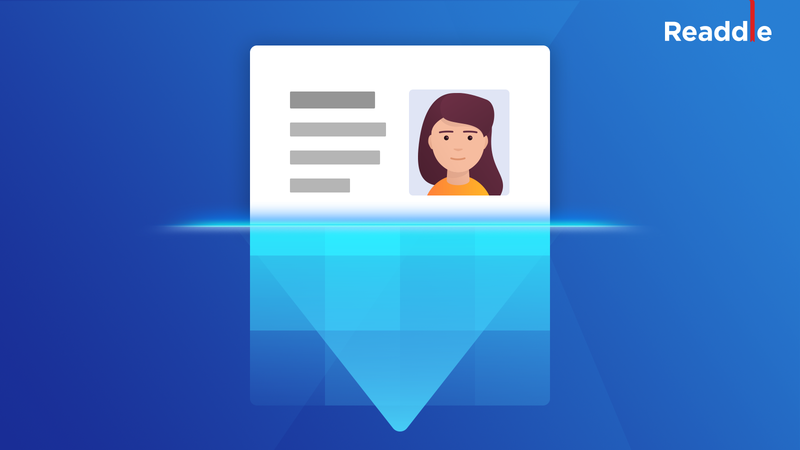 The user is scanning on the go and does not having much time to wait for the app to look for page edges. 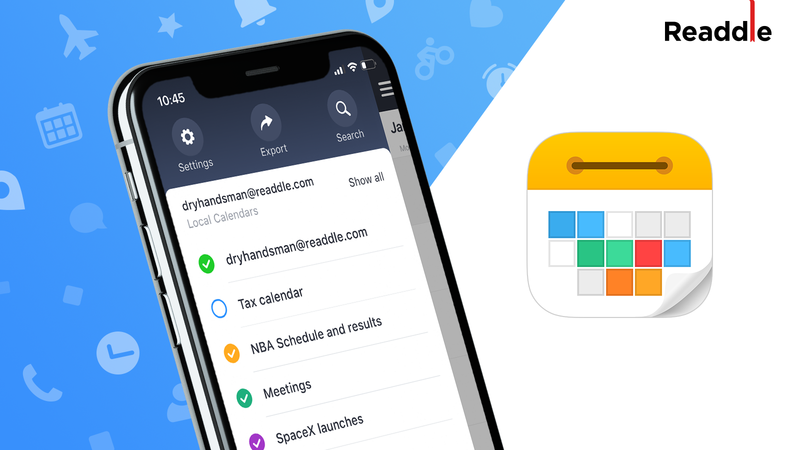 Now the app runs on Readdle-made algorithms that we spent 9 years on developing and improving. What was the most challenging task during your work at Readdle? There were many tough tasks because it all seems impossible until it's done. You have to do it once; then you can do it in two days rather than in two months. The most interesting part compared to what I'm doing now, was the algorithmic part. We tried to develop the algorithm for detecting the document's edges in Scanner Pro. They had to be quick on phones which were not quick themselves. Generally used algorithms were not suitable for us due to low performance on the iPhone's processor; so, I had to optimise the process myself. Now this is R&D's mission. You've worked in the iOS dev industry since the very beginning. What do you feel has changed in terms of technology and devices? If we're talking about the products, the App Store is becoming very crowded. For every topic you can find a variety of apps. There are hundreds of similar apps, cloned apps, and exact copies of our products on the market. About functionality: Now when you're installing the app, you don't expect to press a lot of buttons. When the whole App Store industry started, everyone followed an examples from MS Windows and early Mac OS. Apps had as many settings as possible, so the product looked very complicated and serious. Now, the fewer buttons the user is pressing and the less he knows about how the product works, the better. Getting the result in the fastest way possible — is "the iPhone way of doing things." I also should mention that before, many operations were happening on the device. Now you can see the importance of cloud services more and more. If you pick TOP20 iPhone apps, and take out games, the rest are clients for some cloud services. So the iPhone now is becoming a "doorway to the cloud." Furthermore, currently, writing code has become much easier. The pace is growing, I'm not saying it's because of Swift's introduction, but because of the new technologies boosting the process. Now you don't have to think about how to distinguish or free memory space, and other important issues you couldn't ignore before. Animations, multi-tasking and many more are included on the list of the features which are much easier to do now. If you compare the first iPhone to the iPhone 7, you will notice a lot motion graphics and animations. They are very simple to do now. I know sometimes it's hard to give yourself credit. 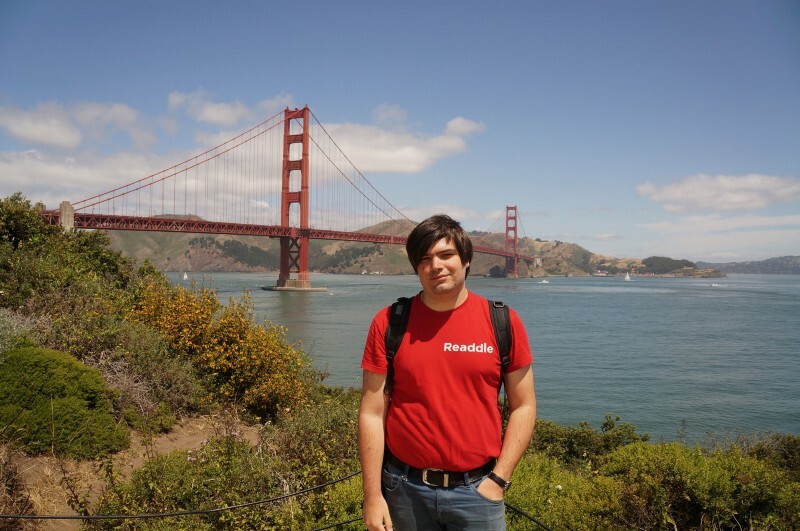 But what do you feel is your biggest engineering achievement at Readdle? My biggest achievement is that I am no longer afraid of new tasks. Everything I was working on is not something I'm used to doing or have done a lot before. If I have new challenges, I am ready to face them. I know that it may seem impossible before it's done, and I share this vision with the interns who I mentor. On your very best day at work, the day you come home and think you have the best job in the world, what did you do that day? It is always a great feeling when you see 5-star ratings, AppStore comments and press mentions. When Readdle's web-browser ‘Terra' was number one in the US AppStore, I thought "Wow, is that even possible?!" What a developer should do to stay relevant and be able to innovate? The industry moves very fast; so, you have to grow accordingly. What are the tips to do so? Do not lose your interest. When your team is growing, you can let other people do the tasks you're good at and spend more time working on something new which is always interesting. 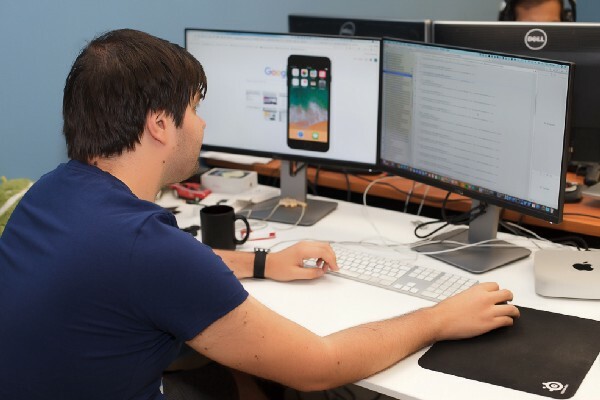 It's important to follow the news, developer communities, and email newsletters such as DevWeekly, Swift blogs and Erika Sadun's blog. I also listen to podcasts a lot. If the trend is big, you won't miss it. Who would you fight? 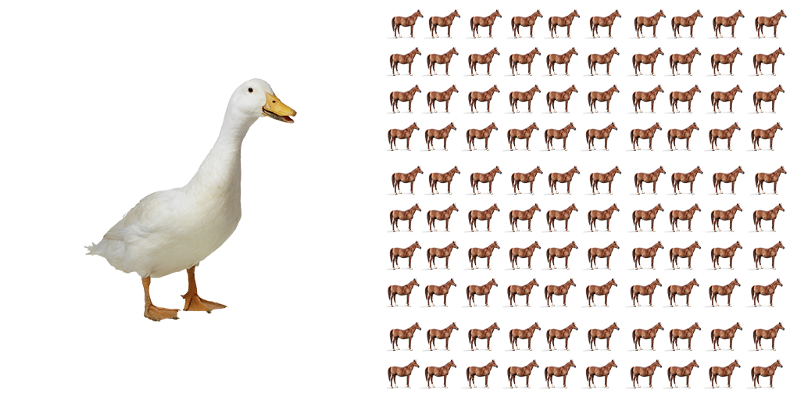 A horse-sized duck, or 100 duck-sized horses? I'm after a giant duck. It's a unique opportunity to take on one big challenge, rather than many tiny ones.